This course focuses on the supervisor's task, similarities and differences between therapist and supervisor roles, functions and duties. It then discusses the practical considerations of supervision, including, interviews, administration, supervision requirements, charting & documentation. 8 supervisee's obstacles to learning, 8 supervisor's problems with teaching and interactions between learning and teaching problems are identified. Strategies to address each are described. This course may be applied to EITHER the BBS Law/Ethics requirement OR the BBS Supervision requirement. This course focuses on culture as a lens through which we view supervision. Culture is broadly defined to include race, ethnicity, gender, sexual orientation, age, mental or physical ability, social class, body size and religious identification. The course explores ways to increase supervisor cultural awareness by describing a societal power grid, a social class training exercise and the concept of microaggressions as applied to race, sexual orientation and disability. An extensive case example is offered as a means to developing culturally relevant supervision. Attention to ethical practice is reflected in each section with emphasis on boundaries, self-disclosures and power dynamics within supervision. 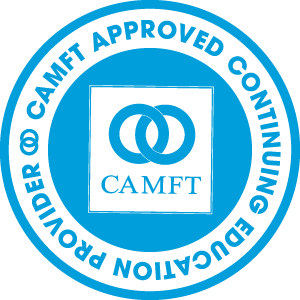 Approved for Part III CAMFT Certified Supervisor Program. This course may be applied to EITHER the BBS Law/Ethics requiremen OR the BBS Supervision requirement. This course includes required supervisor documentation lists, guidelines for creating intern/associate agreements and emergency plans. Detailed case examples illustrate the development and use of an authoritative voice in legal/ethical situations. Recent emphasis on relational, two-person psychology moves a discussion of the use of self-disclosure to center stage. This course describes types of self-disclosures in therapy and supervision, and presents techniques to teach its ethical use. Case examples illustrate: ethical guidelines, professional authenticity, strategic self-disclosure, a Self-disclosure Concept Map and more. This course provides a user-friendly guide to 5 complex topics: empathy, clinical dimensions, attachment style, selfobject transferences and parallel process.